Viking black metal from... Spain? Some might say these guys are missing the point, but whem the music is this good can you really complain? 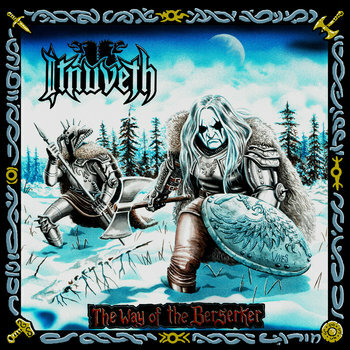 Itnuveth play epic and powerful music that truly reflects The Way of the Berserker. Here is a band who understand the raw and beautiful majesty of their preferred lyrical topics and deliver it to the listener in a uniquely high volume package. There is something extremely entrancing about the music Itnuveth have put out thus far, truly hearkening back to the might and lore of our pagan ancestors. The battle cries and triumphant melodies that characterize songs like Black Henbane prove to me that these guys have what it takes to succeed. Though the vocals aren't quite where they should be in the mix, Itnuveth are still a lot of fun to listen too and when they bring the storm, it comes hard. This band refuses to be vanquished and though they may play on traditional pagan black metal tropes, they are still exciting to listen too, so get out there, and get headbanging!